A proposed charter change to allow the city to set energy efficiency standards for buildings is on the Montpelier Town Meeting Day ballot. Montpelier has a “net-zero” goal - it wants collectively to have zero CO2 emissions that contribute to climate change by 2030. Mayor Anne Watson said to achieve that, buildings in the capital need to get more energy efficient. The city can already set energy efficiency requirements for new construction. This ordinance would allow new standards to be applied to existing buildings. And owners would need a disclosure statement showing the structure’s energy consumption. Watson said that could cost about $250. 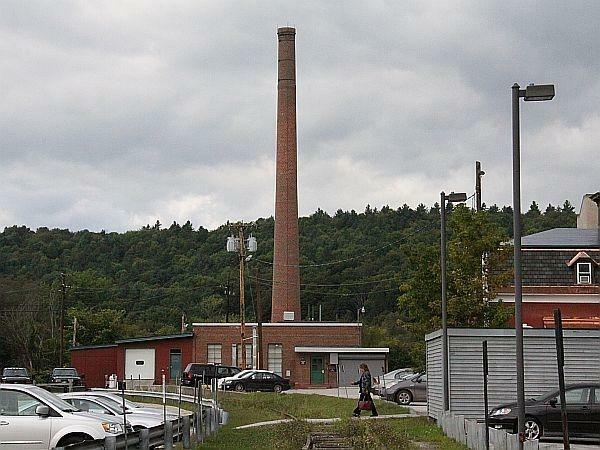 A wood-fired, district heating system is part of Montpelier's plan to have zero net CO2 emissions by 2030. But there’s been pushback to the proposal. Property owners have complained about government overreach on the city’s Front Porch Forum page. Tim Heney, a Montpelier realtor and property owner, told the city council last month that the ordinance was rushed. Heney said there are more pressing issues with the city’s aging housing stock, such as antiquated wiring, that poses a public safety hazard. Heney said the legislature has worked for several years on energy standards for buildings, so it would make sense to wait for a statewide system before Montpelier develops its own. Watson said the city council will take its time developing its ordinance. But she says the efficiency standards are essential to curb greenhouse gas emissions. “One of the biggest contributors to our carbon footprint in Vermont is the energy use in buildings. So the first step beyond, really before, looking at renewables, is to weatherize and make sure buildings are energy efficient,” she said. Watson said city officials would also like to develop financial incentives for homeowners and landlords to make energy efficiency improvements. The Trump administration published a major scientific report Friday which contradicts its own view of the public health and economic impacts of climate change. UVM professor and Vermont State Climatologist Lesley-Ann Dupigny-Giroux was the lead author for the Northeast region of that National Climate Assessment. In conversations about climate change, the role of soil often comes up as one way to sequester carbon. Better soil management would retain more carbon in the ground and release less into the atmosphere. But Dartmouth College Biological Sciences professor Caitlin Hicks Pries says soil's role is even more central, either making climate change worse or playing a key role in mitigating its affects.